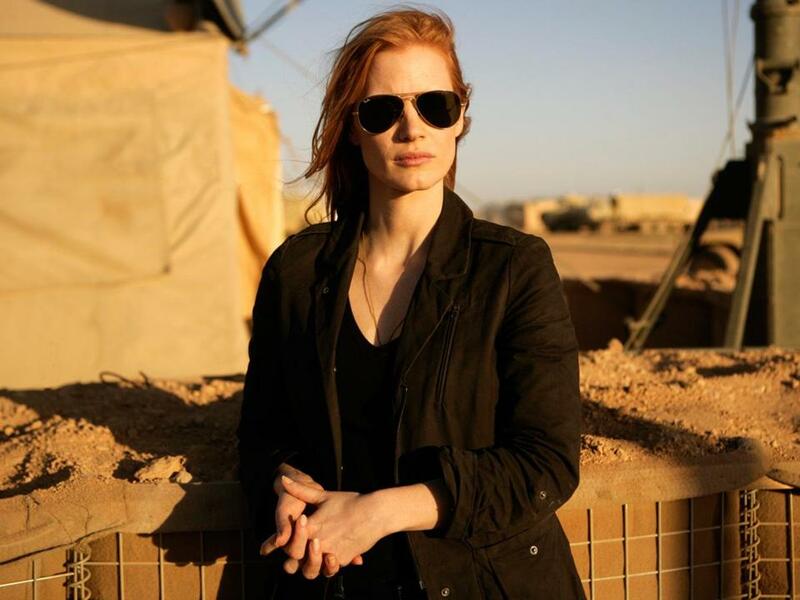 The Boston Society of Film Critics named “Zero Dark Thirty,” a dramatization of the hunt for Osama Bin Laden, as the best film of 2012 yesterday and also honored its filmmaker, Kathryn Bigelow, as best director. “Thirty,” which will be released in the Boston area on Jan. 4 after opening in New York and Los Angeles, also took the award for editing from the Boston critics. The film has been named best picture by the New York Film Critics Circle and online critics groups in New York and Boston, positioning it as an early favorite for the Oscars in February. Daniel Day-Lewis was awarded best actor for his lead performance in “Lincoln” by the BSFC; Steven Spielberg’s period epic was also honored by Sally Field’s win for her supporting performance as Mary Todd Lincoln and for Tony Kushner’s screenplay. Best actress went to Emmanuelle Riva, the legendary French actress (”Hiroshima Mon Amour”) who plays a woman in the twilight of her life in Michael Haneke’s stark drama “Amour” (”Love”). That film also won best foreign language film from the Boston critics. The BSFC is made up of 22 film critics from the New England area; this year marks the organization’s 32d annual awards. The voting spread the honors around: Best cinematography went to Mihai Malaimare Jr.’s burnished work for Paul Thomas Anderson’s “The Master,” while the much-loved summer art-house hit “Moonrise Kingdom” won for best use of music in a film. “How to Survive a Plague,” a nonfiction film about the activism of the early AIDS eras, won the best documentary prize while its director, David France, was awarded the David Brudnoy prize for best new filmmaker. Ezra Miller was named best supporting actor for his performance as a misfit teenager in “The Perks of Being a Wallflower.” Best ensemble cast went to Martin McDonagh’s eccentric gangster film “Seven Psychopaths,” while Tim Burton’s “Frankenweenie” was named best animated feature. .org. The group’s sixth annual awards ceremony will be held Feb. 10 at the Brattle Theatre in Cambridge. @globe.com. Follow him on Twitter @tyburr.